Many of our guests rate our boutique River Bar Steakhouse and Grill as 5 stars. You'll find these excellent reviews shared below. The flatiron steak was perfectly cooked and tender. The potato wedges were crispy on the outside and fluffy in the middle. The staff were very friendly and attentive, especially helpful and accommodating with a child in our party. The meal was made complete by the river view. Highly recommend the food and the location. We had a wonderful time celebrating our wedding anniversary here. The staff were very welcoming and kindly suggested we go next door up to the stunning roof terrace to have a cocktail before settling down for our meal in the restaurant. Our waiter was exceptional with his perfectly tuned balance between kindness and professionalism. Living in France, we’ve become a little disappointed with restaurants in England for service and quality of food, but at River Bar, we were very pleasantly surprised. We had the blackened salmon which was absolutely delicious, with an excellent sauvignon blanc white wine (“Heretique Sauvignon Blanc” from the Loire Valley), finished off with my favourite sticky toffee pudding. To top it all off, they surprised us with a celebratory sweet treat to wish us a happy anniversary! We will definitely go back, thank you for helping us create happy memories in my home town! Recently dined here with friends and had a great experience. We’d arrived slightly before their 1730 opening time, but staff offered us drinks at the bar in the meantime. My party was seated at “the best table in the house” – on the upper level at the floor-to-ceiling windows opening to the River Cam. Service was super attentive but always cognizant to what was going on at the table – our water glasses were always full but we never felt like our dinner was being interrupted. From starters to dessert, we enjoyed every bite of food and everyone’s steaks were cooked beautifully. 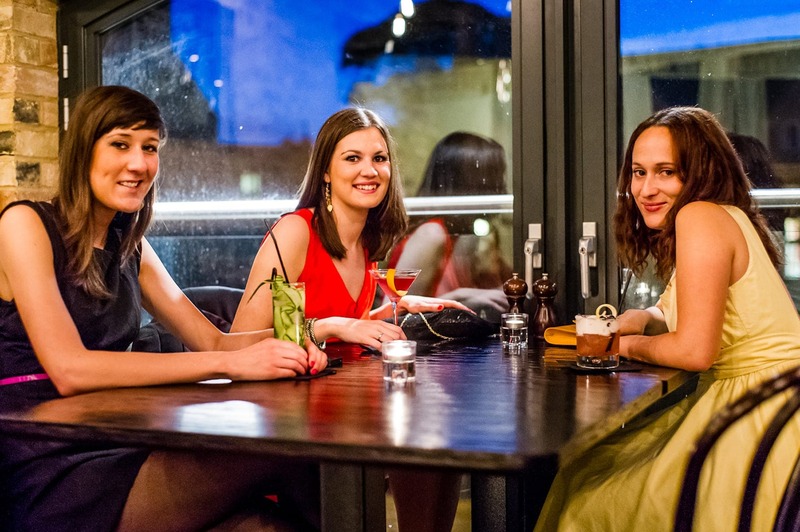 We all had a wonderful night out – I would definitely return on any occasion for a future night out! We ate here this weekend and had an excellent experience. The staff were so friendly and the steak was perfect. It had a great vibe, the cocktails were great and was perfect for my boyfriends birthday. We hope to return soon! Lovely location with beautiful river view full of action of punting life. Nice cosy interior that makes meal more pleasant. Customer service is good and attentive though staff could listen customer better. I was choosing from two different prosecco and once I decided in the end I was given another one that I haven’t chosen. Food.. For the starter I have chosen a lovely lemon and chilli mussels dish, and it was nice though mussels itself wasn’t freshest for sure. The sirloin medium rare steak that I had looked absolutely amazing, and tasted good, though had too many chewy bits as for fine sirloin cut, so that was a bit disappointing. Note for the kitchen: less salt on chips, we are trying to be healthy ya know Overall it is lovely place and should be visited. We were staying at the varsity hotel so booked to eat here on our 1st night. The atmosphere, decor and setting were great. The steaks were perfectly cooked and presented. Tastiest steak we’ve had in a long time. This was a special treat for our son during our weekend in the city. We were given a wonderful upstairs table overlooking the river and the punts. We all wanted a fillet steak and the beautifully cooked steaks served in a skillet, and chips, simple garnish and sauces were excellent. Puddings were equally delicious. Lovely buzz in the restaurant. Waiting staff were very attentive and friendly. We thoroughly enjoyed our visit and would definitely return when we are in Cambridge again. Thank you, River Bar Steakhouse! Highly recommend this restaurant for several reasons. Exceptional service, very friendly welcoming staff. As a wheelchair user this was the first ever restaurant in 32 years to help me out of my coat. There is wheelchair access via a lift. It is not obvious so ask! Food was fabulous – surf and turf was cooked to perfection. Cocktails were varied and very well made. The only negative I have is the 10% service added for a table of 2. This is not America! However I paid it as the meal was faultless. My boyfriend and I were in Cambridge overnight and wanted a romantic dinner. Having never visited the city before we were guided by other reviews of the River Bar Steakhouse and we were certainly not disappointed. The overall impression is casual but smart and efficient. The Head Waiter was very attentive, evidently enjoyed his job and loved to discuss the merits of both the food and wine on offer. The restaurant was quite busy considering it was a Tuesday night and there were a couple of large groups in. Recognizing that we wanted a more intimate atmosphere, the head waiter suggested that we eat in the bar area which was prefect. We had a wonderful evening and are only sorry that we are not likely to visit again. The food is delicious. The view is wonderful. It’s slightly hidden but worthwhile winding though the streets of Cambridge to find. We sat upstairs in front of the window over looking the river and it was lovely. A brilliant ambiance. The food and wine are excellent and the service is also extremely good. Definitely worth visiting. I recently had a booking for 16 friends to celebrate my birthday, I had never visited the restaurant before but had heard good reviews and I wasn’t disappointed! The atmosphere was great, the staff were extremely attentive, the food and service was outstanding and everyone had a thoroughly enjoyable night. I can’t wait to go back again and my guests feel exactly the same. We had an amazing meal at the River Steak House. The staff are very attentive and make a real fuss of you. I had a fillet and partner had ribeye – both were exceptional. Great wine and cocktail list, and gorgeous views over the river. If you love steak, give it a visit, you won’t regret it. We have enjoyed lunch several times for birthdays and end of term celebrations, so chose to have dinner here after my son’s graduation. The food is always excellent, with very generous portions, a good wine list and great choice of cocktails. The staff made our dinner one to remember, with a table with a great view of the river, with punts going past. the service was very attentive and friendly, as always, and we were made to feel very special. A wonderful evening, thank you so much.